Published on October 19, 2017 in Daily Dirt, Equipment & Products and National. Closed Tags: construction, construction industry, contractors, equipment, heavy equipment, IEDA, Independent Equipment Dealers Association (IEDA), Tier 4, Tier 4 Final emissions. For even the most seasoned used construction and mining equipment buyers, navigating the waters of the EPA’s Tier 4 mandates can be daunting. 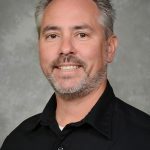 To provide assistance, the Independent Equipment Dealers Association (IEDA) has released a free, downloadable white paper: Advice from the Experts: Getting the Best Pricing on Used Equipment in the Era of Tier 4. 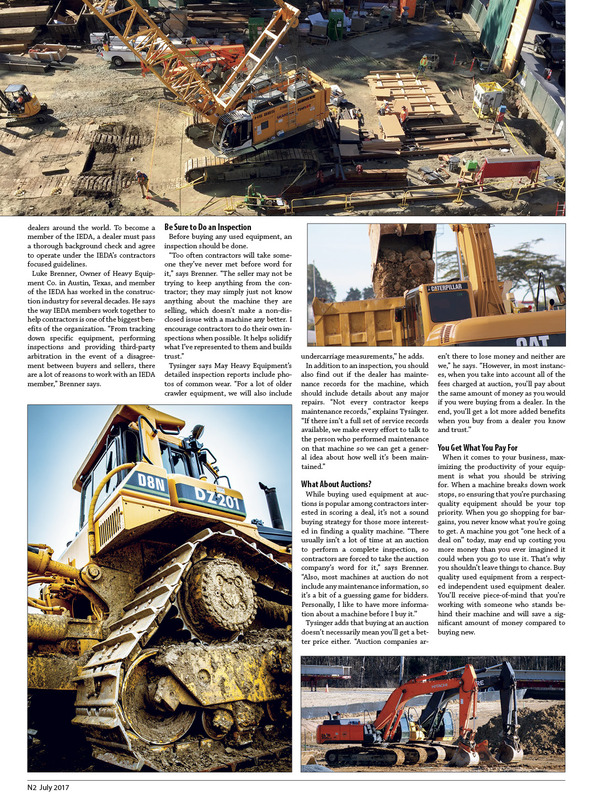 Mandates are driving up the demand for non-Tier 4, used construction equipment — a trend IEDA members predict will continue for the next several years. Currently, resale pricing for high-demand pre-Tier 4 units has increased by as much as 20 percent. 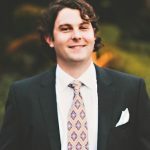 Tier 3 and earlier units are also getting harder to find in some equipment categories, such as excavators, backhoe loaders, wheel loaders, dump trucks dozers and compact equipment. 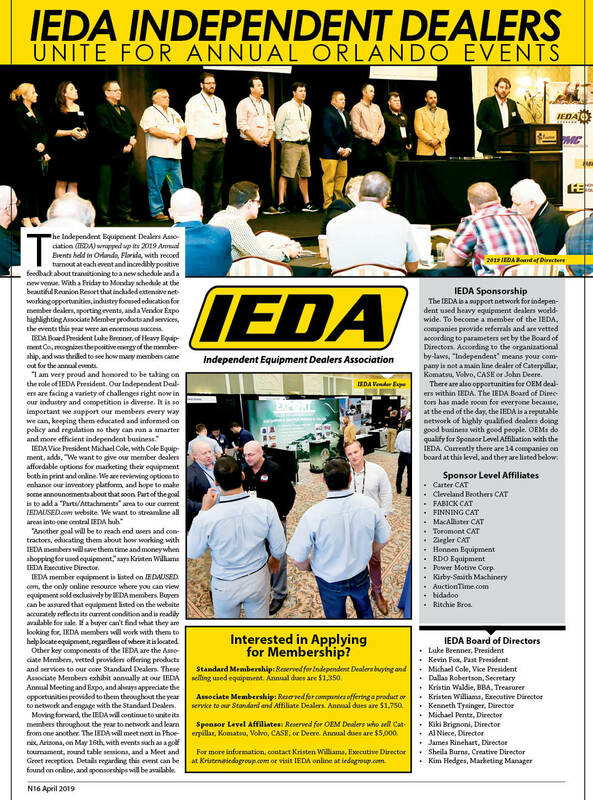 The IEDA membership base is comprised of equipment dealers from around the world specializing in used construction and mining equipment sales. 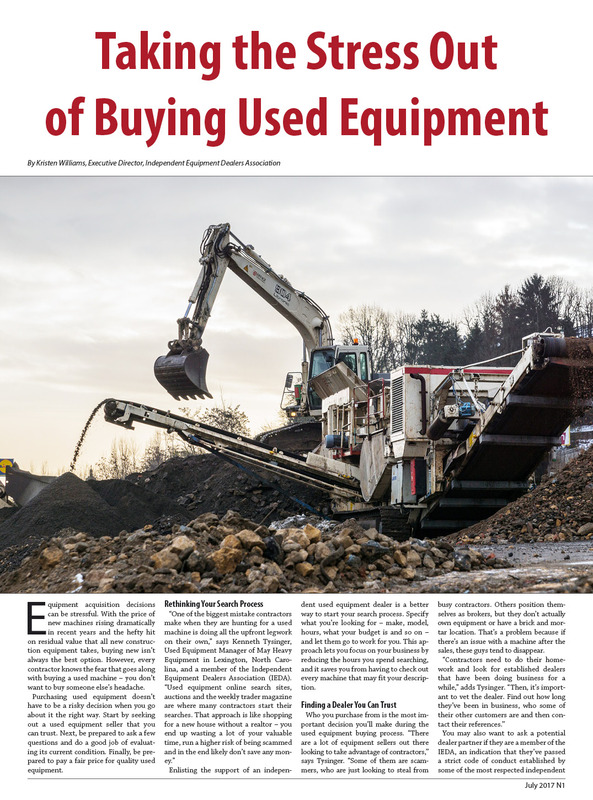 Since the EPA implemented new standards more than two decades ago, the IEDA’s staff and members have kept a close eye on how used equipment availability and pricing are affected by each new standard like the Tier 4 mandates. Their new white paper is one more way the association shares their experience and knowledge with used equipment buyers. 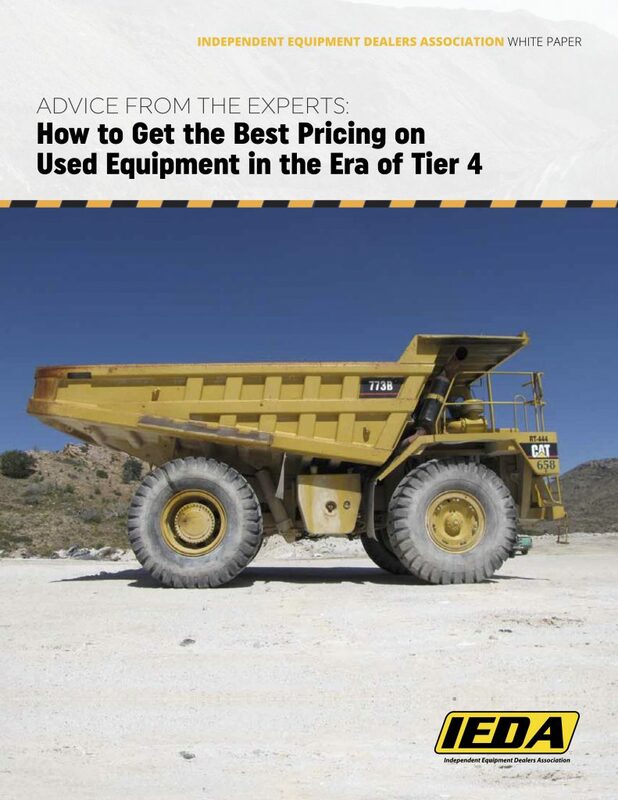 The IEDA’s “Advice from the Experts: Getting the Best Pricing on Used Equipment in the Era of Tier 4” white paper can be downloaded at: http://iedaused.com/used-equipment-pricing-tier-4#. 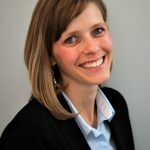 For more information about the IEDA and its members, please visit www.iedagroup.com or contact IEDA Executive Director Kristen Williams at Kristen@iedagroup.com. 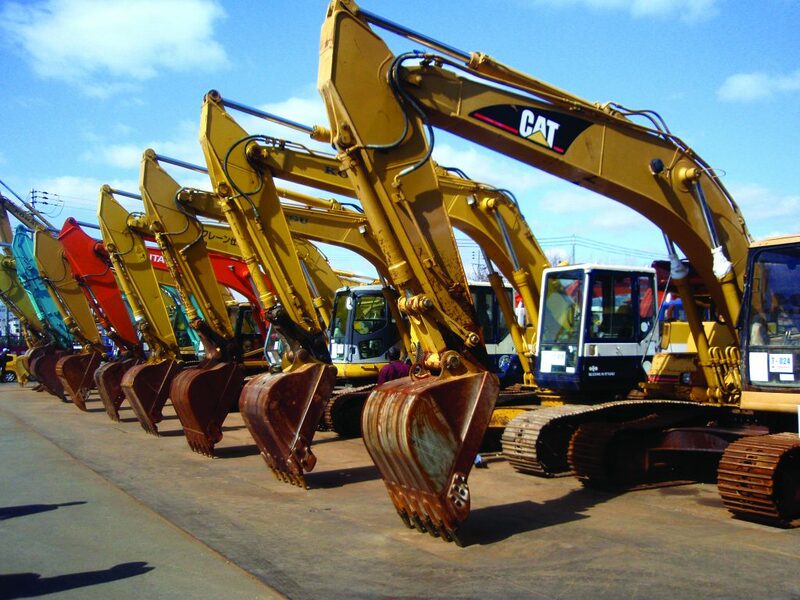 Established in 2002, the Independent Equipment Dealers Association is a self-regulating body of independent dealers who pride themselves on being reputable, highly qualified professionals in the used equipment market worldwide. Standard Members buy and sell equipment on a wholesale and retail level via the IEDA. Associate Members offer products and/or services to the core group. All members must apply for membership and be approved by the Board of Directors. Published on July 25, 2017 in Featured Article and National. Closed Tags: construction, construction industry, contractors, equipment, excavators, heavy equipment, IEDA, Independent Equipment Dealers Association (IEDA), infrastructure. Published on May 7, 2017 in Daily Dirt, Equipment & Products and National. Closed Tags: construction, construction industry, contractors, dealers, Equipment dealers, IEDA, Independent Equipment Dealers Association (IEDA). 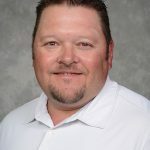 The Independent Equipment Dealers Association (IEDA) welcomes incoming President Kevin Fox with Dewitt Equipment Co, in Barrie, ON, and new Board Members Luke Brenner with Heavy Equipment Co. in Austin, TX, Kenneth Tysinger with May Heavy Equipment in Lexington, NC and Chris Lohman with South Mountain Tractor in Tempe, AZ, as well as Treasurer, Kristin Waldie, BBA with CapStone Accounting in Minesing, ON. 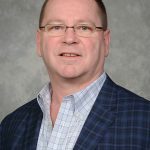 IEDA’s new president and board members were announced during the Association’s Annual Meeting and Vendor Expo in Orlando, Fla., this past February. Members of the IEDA Board of Directors serve a maximum of two consecutive years and are responsible for establishing industry best practices and quality used equipment standards. Outgoing Board Members include David Williams from International Construction Equipment (ICE), Lakewood Ranch, Fla., Tanna Trout from Trout Machinery, Inc., Casper, WY, Rick Trout from Trout Machinery, Inc., Casper, WY, Burt Cunningham from Global Tractor Company, Colleyville, TX. and Maurice Matson with Matson Machinery Company, Scott Depot, WV. During the Annual Meeting, all four retiring Board Members were presented with the IEDA Leadership Award, which is given to outgoing Board Members annually for their contribution to the organization.